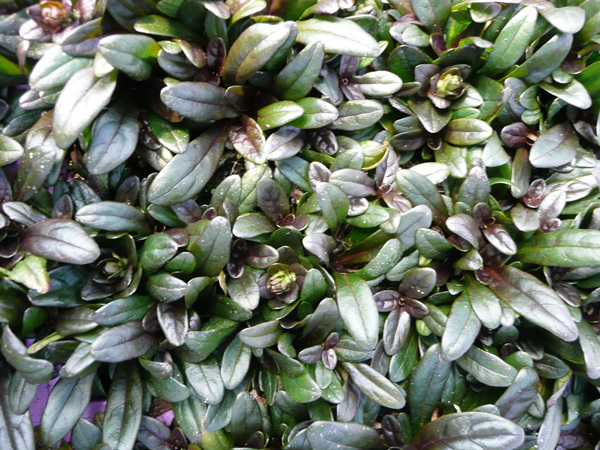 An interesting selection of Bugleweed from Europe. The unusually narrow foliage is dark green, overlaid with chocolate-brown in during the cooler months and forming a very low mound. Short spikes of showy blue flowers appear in late spring. 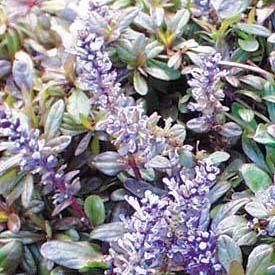 Not as quick to spread as many of the larger selections, this is useful as a groundcover or edging plant in any shady area with reasonably moist soil. Nice in containers and tubs. Combines beautifully with all kinds of spring-flowering bulbs. Plants may be easily divided in spring or early fall. Seems to be more disease-resistant than many of the older selections on the market. Clip or mow off flower stems after blooming. 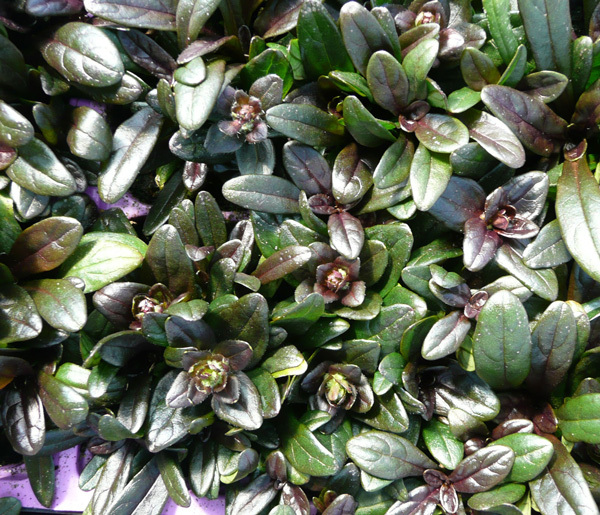 Sometimes listed as Ajuga ? tenorii 'Valfredda'. Was introduced into North America under the name Chocolate Chip.